Ask your customers what conveniences they want when they purchase your product, and develop business processes that answer those desires. Also ask your customers what conveniences they want during product delivery, and develop processes accordingly. Find out what customers what they want to feel and experience at every customer touch point, and then develop processes that exceed expectations. Develop employee training processes to increase consistency of performance and exceed customer expectations. Develop business processes to improve quality control and surpass customer expectations. Provide your people with the tools they need to work efficiently within your business processes. 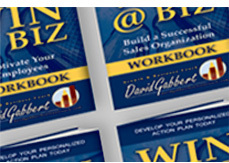 Include all your business processes in written training manuals. Empower your employees to work on and improve your business processes by developing formalized programs that coach them on reacting to defects customer and dissatisfaction. As an owner, budget more of your time for developing and improving your business processes, rather than spending every day working in your business.